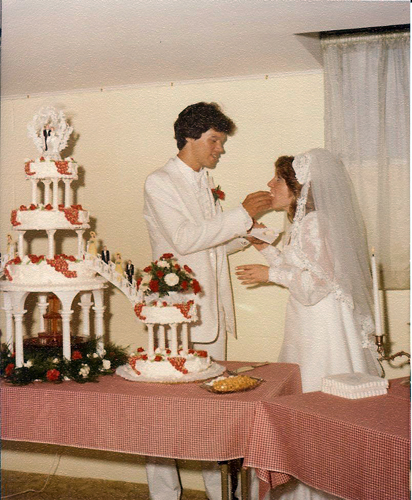 On Monday, July 28, Brian and I celebrated our 35th wedding anniversary. And I’m sure you all agree — we haven’t changed a bit. Well, OK, let’s be honest, there’s hardly anything about us that hasn’t changed! 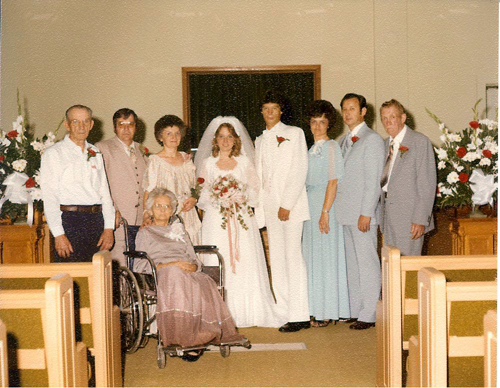 Our parents and grandparents were solid examples of enduring marriages for us, and even though they had rough patches, they persevered in love. What a sweet legacy for us. What a challenge to follow in their footsteps. 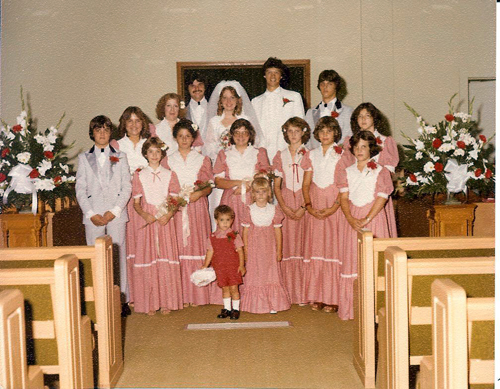 In July 1979, we were up for the challenge, and after 35 years we’re still walking toward “happily ever after.” For the most part, we’ve had a great stroll through the years, however, like all marriages, there have been times when “blissful” would not be the adjective either one of us would use to describe the hike. 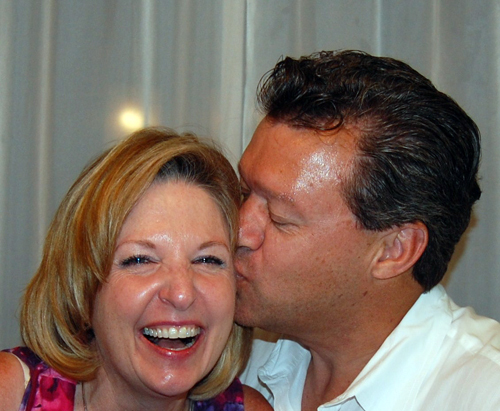 Our married life started out in a tiny apartment in Charleston, Illinois — we’d just finished college and life was sweet. We watched our black and white 19” TV (that got three channels and sat on a cardboard box in our living room which was furnished with folding lawn chairs and a broken rocker) before we left for work in the morning, and we’d go to Brian’s softball games in the evening. We didn’t worry about anything. We weren’t walking with Jesus, but we were walking hand in hand with each other. Our universe was all about us. And, our friends and relatives would probably agree… we were pretty self-focused – but then, aren’t most newlyweds? Then everything changed! Shortly after our second anniversary, Our first son entered the world and life was turned upside down. He didn’t sleep. Ever. It’s almost impossible to communicate in a marriage when you are so tired that you can’t string a sentence together without having to stop and think what word comes next, but somehow we managed. And, we must have chatted at least once, because not too far behind son number one came son number two. Sure, we had our misconnections, misfires, and misunderstandings. There were stretches when the only kisses either of us got for days on end were far from romantic and tasted like peanut butter, but we hung in there because we were committed to each other and to our marriage. Did we do things right all the time? No. Did we do things wrong all the time? No. How on earth did we get through those difficult child-rearing, career-focused, money-challenged and sleep-deprived years? By the grace of God! Soon after becoming parents, Brian and I faced the rude awakening that we were not the center of our universe, and we needed to stop living as if we were. The only thing that made sense was to return to the God who loved us, find a church home, and ask God to walk with us. While our newly rededicated walk probably wasn’t as dependent upon God as God wanted it to be, or what we needed it to be, He blessed our intention in ways we will probably never know this side of heaven. And, by God’s amazing grace, He continued to call us to a deeper walk with Him. God allowed difficulties in our marriage and by His grace and in His strength we weathered them. God allowed health crises in both our boys, and by His grace and in His wisdom, they were diagnosed and treated. God moved us far away from friends and family multiple times, and by His grace and in His love He used our separation to knit the four of us close together. In every circumstance, in every situation, God continued to show us that He is sufficient to meet our needs. And God continues to remind us that He is sufficient and His way is best. Because we are His forgiven children, we must be forgiving spouses. Our marriage will continue to exist and thrive as long we continue to forgive. We must forgive the big things and the little things, the real things and the perceived things, the spoken things and the unspoken things. We must cultivate and live in an atmosphere of forgiveness and love. Our marriage will continue as long as we maintain an attitude of gratitude. We have nothing that God has not given us, including the ability to stay happily married. I must remember that Brian is a gift of God’s grace to me, and I trust that Brian feels the same way about me. Ironically, we attended a wedding on Saturday – I guess the end of July is a good time to get married. As I watched the bride and groom and saw their joy, happiness and love for each other, I recall feeling the same way on my wedding day. 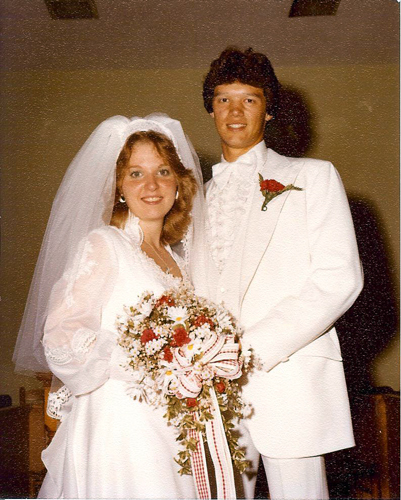 When I listened to their vows I remember what it was like to stand before God, my friends and family and make the same promises to God and to Brian 35 years ago. As I think back over all the life that we have lived over the course of our marriage, I can’t help but smile. Overall, it has been really good. Good enough that I’m looking forward to the next 35! Whaddya say, Brian — You, me and God — “Happily Ever After” here we come! Great post. Thanks for letting God use you in mighty ways, like being such an inspiring example to other wives and marriages around you! Thank you, Nikki! I love you! Oh, Sandy, you are so sweet. Love you. Congratulations Marcia and Brian! Thanks for sharing your heart at the beginning and through it all. The grace of God is still the only answer for success in marriage and for the unmarried. I could relate to everything you said, Marcia! Thanks for sharing your story! What wonderful encouraging and honest words, Marcia! Thanks for sharing your thoughts. May God in His grace continue the work He has begun in both of you. 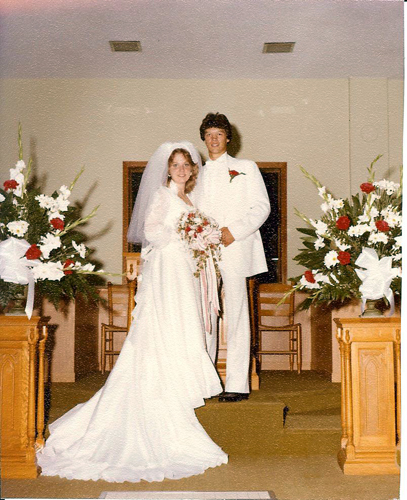 Happy 35th wedding anniversary! Congratulations to both of you and thank you for a beautiful post!!! !